The General Maintenance Department of Dubai Municipality has completed the first phase of the project for maintenance, cleaning and sterilization of drinking water tanks in the government schools in the emirate of Dubai at a cost of Dhs2.1 million. Eng. Juma Al Fuqae, Director of General Maintenance Department said the policy adopted by the Municipality in this field is to ensure constant and quick support for conducting educational activities and creating a safe environment that can be enjoyed by the students of the schools that complies with the public health and safety regulations. He said the department assigned one of the companies specialised in conducting maintenance, cleaning and sterilization of drinking water tanks in government schools. "This is a new initiative from the Municipality to meet the requirements of educational institutions of the Knowledge and Human Development Authority, which is considered to be a strategic partner of the General Maintenance Department in its annual projects for maintenance and renovation of government schools," said Fuqae. 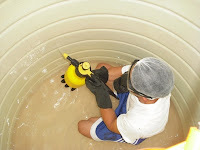 He said the project includes carrying out maintenance of tanks, sterilization and cleaning water tanks three times in an academic year by conducting laboratory analysis of the water or each tank in a laboratory approved by the Municipality in order to ensure the safety of work and its compliance with the standard specifications and safety and security regulations in addition to changing water filters of the cooler every month. The General Maintenance Department has now started implementing the second phase of the project. It is worth mention that all the works are done under direct supervision of the engineers of the Department. The materials used in the project are also in compliance with the standard specifications. Dubai, 24 February 2009: Minister of Environment and Water, Dr. Rashid Ahmed Bin Fahad, has emphasized the need to coordinate efforts by all government apparatus in the country in order to face challenges related to food security especially in the wake of the current economic crisis. He was speaking at the opening session of the 4th Dubai International Food Safety Conference, which was being held at the Dubai International Convention and Exhibition Centre on the sidelines of the Gulfood Exhibition. Bin Fahad explained that the over the past two years, the world experienced a food security crisis that reached its peak in the middle of last year. “There were a lot of political, social and economical repercussions for this crisis in every country on this planet that turned the spotlight on this highly sensitive subject. As a direct result of this concern, there has been a reversal of economic policies, theories and strategies that have been prevailing in the world for the past three decades,” the minister added. He noted that the UAE has adopted the best policies to ensure food security through a set of policies that are implemented jointly by several ministries and government agencies and in partnership with the private sector. The mechanism for implementing these policies has been developed taking into consideration the climatic and environment conditions so that these short-term and long-term plans can be implemented successfully. These plans included, for instance, raising the self efficiency ratio of local produce, especially those with proportionally high competence rates, encouragement of investment, and provision of advanced infrastructure to set up high-quality food industries. Hussain Nasser Lootah, Director General of Dubai Municipality, also addressing the opening session, said the conference provides a forum for education, knowledge transfer and development of new skills and professional development of all involved in managing food safety. He noted that the event assumes much significance at the time of heightened food warnings and recalls worldwide, that raise new questions about the quality and integrity of the existing system for assuring food safety. "Food safety is receiving increased attention worldwide as the important links between food and health are increasingly recognized. In the past few months we have seen a plethora of food warnings and recalls worldwide, raising new questions about food safety. Urgent action is required to create an international framework to secure food safety in times of globalization, when accidents in one country can have a major impact on many other countries," said Lootah. Khalid Sharif Al Awadhi, Director of Food Control Department and Conference Chairman, also spoke in the opening session and shed light on the conference theme “Food Safety in Light of Food Security.” He noted that the current global financial crisis has resulted in the rise of food price index of grains, milk, meat, oil and sugar by 54 per cent during last year as per statistics of the Food and Agriculture Organisation. The food grain price alone rose by 92 per cent whereas prices of diary products doubled over the past two years. He listed the challenges of food security in the gulf countries as the heavy reliance on imported food products which account for 60 to 80 per cent of their overall food needs, change in the life style of gulf counties due to the fast urbanization process, the cultural and educational gap of employees working in the food industry as they belong to more than 100 nationalities, and the mandatory compliance of animal-related food with the principles of Islamic sharia. Some other challenges, he noted, were growing cases of cheating in food products sale, spread of wrong information on food safety in medium of communication such as Internet and SMS, speedy changes in food production techniques…etc. He noted that the government agencies in the GCC countries should change the traditional inspection techniques and should adopt modern systems that are based on assessing risks, educate food handlers, make the people aware of food safety so as to reduce food poison cases and reduce food waste, build lab facilities to detect new types of food pollutants, and encourage scientific research and interaction with food safety authorities. David W. Tharp, Executive Director of International Association for Food Protection (IAFP) which is world's leading association of food safety professionals, also addressed the gathering. Lauding the successful organising of the 4th cycle of Dubai International Food Safety Conference, he said IAFP was pleased to be associated with Dubai Municipality in setting up the event's programme and identifying its speakers. Several high profile speakers are attending the 3-day conference, including Prof. Steve Hathaway from New Zealand Food Safety Authority and Dr. Ezzedine Boutrif, Chief of Food Quality and Standards Service of FAO and industry experts like Dr. Steve Rizk from Mars Snack Foods, Dr. Ahmet Anbarci from Kraft foods and Johann Grosz, Group Leader in Quality Assurance, Nestle Research Center, Switzerland. The event features several interactive programs from both local and international speakers, tailored to the unique and diverse requirements of the audience. Its main theme, “Food Safety in light of Food Security,” addresses approaches to enhance food safety and at the same time reduce food wastage. It will focus on key areas to improve trade-related judgments including the use of strong scientific principles and effective food safety management systems. The conference comprises of five plenary sessions on the main theme “Food Safety in Light of Food Security”, eight symposia on different topics, poster sessions and technical sessions. Various programs during the conference discuss recent food safety issues and the benefits and effectiveness of new standards, and methods that many countries have established for enhancing and regulating food safety. Symposia topics include Food Safety Updates, Advancements in Food Testing, Food Safety Education, Pesticides Management in Foods and Best Practices. Renowned scientists from international agencies, governments, health and research institutions, as well as the industry will share their perspectives; discuss best practices and harnessing of new technologies for sustainable actions to secure safer and better food supply. Dubai Municipality leadership will be indulging in more corporate excellence exercises under the Safari Trip in the World of Excellence programme. The Corporate Excellence Department in the Municipality has come out with this new activity based on the adoption of the criteria for Dubai Government Excellence Programme and leading the operation of applying these criteria. The department will be sending special bulletins of the programme to the leadership of the Municipality in addition to the bulletins sent to other employees. Maryam Al Hammadi, Director of Corporate Excellence Department said the idea of Safari Trip in the World of Strategy programme is carried out through sending Safari bulletins about different areas of corporate excellence through emails to the DM leadership and all employees. The bulletins for the leadership will focus on their role in implementing the criteria of excellence by establishing a corporate culture that ensures the accomplishment of objectives by way of offering the best models in performance and behaviour. Huda Al Safar, Senior Corporate Planning Officer and Head of Safari Trip in the World of Excellence said that in addition to the email messages that are sent to the leadership, contests will be organized on the sidelines of the agenda of the routine meetings of the higher leadership chaired by Eng. Hussain Nasser Lootah, Director General of Dubai Municipality and attended by Assistants to the Director General and Directors of Departments. These contests will be held in an atmosphere of fun and positive interaction. As for the other employees the Safari programme aims at spreading the corporate excellence culture, introducing the criteria of the Dubai Government Excellence Programme, initiatives of the Municipality in the field of corporate excellence, providing them with the tools and mechanism that will enable them to contribute effectively in the march towards excellence and giving them opportunity for presenting their opinions and ideas that will make an impact on the experience of the Municipality in the field of corporate excellence. Dubai Municipality will be organizing a seminar titled "Dubai Municipality experience in using Airborne Hydrographic Lidar Survey Technique to cover the coastal zone of Dubai Emirate" on Thursday, 26th February at 9am at the City Hall of the main building. Eng. Alia Al Harmoudi, Head of Coastal Zone Management and Waterways Section in the Environment Department said the seminar is being conducted as part of its keenness to highlight the important and effective role played by the Municipality towards the society in enhancing the services provided to the public. "It is also part of the ongoing specialised forums and seminars held by the Municipality in order to talk about the qualitative change the civic body is adding to the development operations used for marine and coastal projects," said Al Harmoudi. London/Dubai, February 24, 2009: The Private Equity International Middle East Forum: Dubai 2009 will take place from March 10-11, 2009, at the Madinat Jumeirah Hotel in Dubai, the event organisers announced today. His contribution to the dialogue underlines the increasing influence and importance of private equity’s role in the Middle East, which leading figures from the regional and international financial world will discuss in detail at the forum. Participants include: H.E. Shaukat Aziz, the former Prime Minister of Pakistan, Dr Mahmoud Mohieldin, the current Minister of Investment of Egypt, H.E. Dr. Omar Bin Sulaiman, Governor of the Dubai International Financial Centre, and Paul Koster, new Chief Executive of the Dubai Financial Services Authority. Delegates will also have the opportunity to interact with their senior peers at a series of high-profile regional networking lunches at the event, designed to facilitate interaction, brainstorming and ongoing business development. Private Equity International has consulted widely to develop a programme that moves the event beyond the traditional trade gathering in order to give participants the means to better understand how the asset class will be evolving – and how best they can be part of that evolution. Dubai, February 19, 2009: Emirates Gas, a wholly owned subsidiary of ENOC, organised a three-day training workshop for 60 trainees from Civil Defence representing all the seven emirates as well as Dubai Police. The workshop was held at the fire safety training grounds of Dubai Civil Defence in Al Aweer. The highlight of the workshop was a live emergency response exercise to deal with a situation of gas leakage from a liquefied petroleum gas (LPG) truck rollover, in which the product is transferred using emergency rescue vehicles, in a simulation of a real-life dangerous situation. The simulation exercise, which was the first of its kind in the UAE, aimed at increasing awareness on emergency response tactics and educating trainees on how to deal with major emergencies in the unlikely event of a LPG truck rollover and gas leakage. “With the fast development of the UAE, and Dubai in particular, it is vital to provide the highest safety standards, which is part of our social responsibility. To achieve this, we have brought qualified experts trained in the USA to provide training to government departments and share their expertise on how to handle LPG incidents,” Mustafa added. Dubai Municipality has handed over 200 used computers after refurbishing them to the Red Crescent in order to distribute them among the children of Gaza. The move is part of the "Gaza Children…Our Children" campaign taken up by the civic body. The PCs were handed over at a ceremony, held at the DM PC Refurbishment Centre in the Muhaisina area, which was attended by Eng. Hussain Nasser Lootah, Director General of Dubai Municipality, Mohammed Abdullah Al Haj Al Zarouni, Director General of Red Crescent, Dubai Chapter, Mohammed AbdulKareem Julfar, Assistant Director General of Dubai Municipality for Corporate Support Services Sector, Eng. Hamdan Al Shaer, Director of Environment Department and a number of officials from the Municipality. Stressing on the importance of the PC Refurbishment project, Lootah said it helps realize the vision of the higher leadership to spread the e-culture in the society and create a technically capable society that can keep pace with the changes of the external environment. "This project works by receiving contributions of old and used PCs and their attachments from individuals, establishments, government departments and private sector establishments. These PCs are repaired and refurbished and later distributed to different categories of people who are in need of them. It is aimed at developing their technical skills and helping them achieve their tasks in a more effective way by using computers," he said. "The project also aims at protecting the environment from negative impacts that occur when people dispose off these equipments in an improper way. It will also support the efforts of the government bodies in treating the negative results of the disposal of these equipments," said Lootah. "We are happy to have any active participation from different bodies, whether they are individuals or establishments, government or private, as these participations will become a good build up for charity work," he said. Lootah said the support to Gaza children comes as part of the care taken by the Municipality within the framework of its social responsibility towards the needy categories, whether it is inside the country or abroad. He said that this initiative will contribute in drawing smiles on the faces of Palestinian children in their schools. Mohammed Abdullah Al Haj Al Zarouni said the humanitarian initiative of Dubai Municipality is highly significant. "This move goes along with the constant relief work to the Gaza sector. The efforts of the Municipality to re-qualify the educational sector will get the cooperation of the United Nations Relief and Works Agency (UNRWA) and the UNICEF. Al Zarouni expressed his happiness over the cooperation of Dubai Municipality in supporting the humanitarian cause. He hoped that the children of Gaza will benefit from this benevolence. Al Zarouni also handed over the Red Crescent memento to Lootah as an appreciation of the Municipality's support. The DM PC Refurbishment Centre has so far refurbished 5,000 PCs that were handed over to a number of establishments and organizations inside the country and abroad such as the National Human Resources Development and Employment Authority (Tanmia); National Youth Federation, Sudan; Al Aweer Health Centre, Dubai; Centre for Special Needs People, Ras Al Khaimah; Al Sahabah Centre for Quran Memorisation, Dubai; Abu Baker Siddique Centre, Dubai; Summer Camp, Dubai Police; Al Ihsan Charity Centre, Ajman; Al Qadharif Digital City Organisation for Special Needs People, Sudan and Zayed Orphanage, Afghanistan. The DM PC Refurbishment Centre has a website called www.pcrecycle.ae, which provides all information and data regarding the project. It also has a call centre to receive enquiries about contributions from individuals and organisations. The call centre can be accessed through the toll-free number 800900. In order to hand over the used computers individuals and organisations can also go directly to the PC Refurbishment Centre, which is situated in Muhaisina, near Tasjeel. PCs can also be handed over to the Municipality branch centres at Karama, Umm Suqeim, Al Twar and Hatta. The PC Refurbishment Centre also attracts a lot of students from schools, colleges, universities and other institutions, who are interested in the PC refurbishment operations. These students are given training under the Municipality's summer training programme. The Centre also coordinates with international centres for PC refurbishment and maintains partnership relationships with them by applying best practices and making the Centre one of the international centres for PC refurbishment. The Centre also coordinates with the Ministry of Government Sector Development to contribute in the efforts of the country in participating the projects and programmes of the UN for humanitarian services. 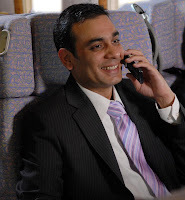 Dubai, UAE, 19th February 2009 – Keeping people connected, Emirates in-flight mobile telephone service has clocked up its 100,000th user this week, confirming a dramatic increase in calls this year. A total of 31 Emirates passenger aircraft are now installed with the AeroMobile service, the largest of any commercial airline. The milestone was passed when a Singaporean passenger made a call from 36,000 feet during Emirates flight EK404 from Dubai to Singapore. Thousands of passengers on 31 AeroMobile-equipped Emirates aircraft depart daily from Dubai to destinations across its global network. Over 350 Emirates short and long haul flights operate weekly with AeroMobile covering services to 49 countries. The AeroMobile in-flight system allows passengers the choice of safely using their own mobile phones to make and receive phone calls and text messages from Emirates aircraft, with charges in line with international roaming rates. The fast-growing popularity of the service sees typically more than 30 per cent of passengers on each flight taking advantage of the award-winning system. With the first 50,000 users in the first nine months since the system's launch, the second 50,000 have been clocked up in less than two months. Patrick Brannelly, Emirates’ Vice President, Passenger Communications and Visual Services, said: “The AeroMobile facility is growing in popularity day by day. The feedback has been excellent, and our passengers are clearly using the system to stay in touch, as we saw with big increases in the number of calls and SMS messages over special occasions such as the New Year period. We even saw a surge at the time of the result of the US presidential election. The AeroMobile service can only be used at cruise altitude and allows passengers to send and receive text messages and make and receive calls, just as they do when roaming abroad. Following a successful launch with Emirates in March 2008 – a world first – AeroMobile-equipped aircraft have seen over 370,000 flight hours of operation. Emirates Engineering are now rapidly rolling the system out across the remainder of the Airbus and Boeing fleets. 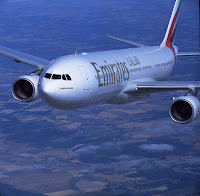 AeroMobile is presently operating on Emirates A340, A330 and B777 aircraft. AeroMobile chief executive Bjorn-Taale Sandberg said: “As the service availability has broadened, the number of users has shot up from 10,000 a month at the end of 2008 to 25,000 a month so far this year – and it’s rising rapidly as each day goes by. Usage data from actual flights shows that at peak times, in excess of 100 passengers are switching on their mobile phones during a flight. Later this year, the AeroMobile system on Emirates aircraft will be upgraded to offer GPRS services. This will enable passengers to send and receive e-mails via devices such as Blackberrys and laptops with GPRS data cards. Dubai, UAE, 18th February 2009 – Emirates Airline today unveiled plans to grow the number of flights across its network by 14 per cent in 2009. HH Sheikh Ahmed bin Saeed Al-Maktoum, Chairman and Chief Executive, Emirates Airline and Group, said: “The next year is not going to be an easy ride for the airline industry. Emirates has prepared the best we can for the challenges we foresee, but we also see it as a time of opportunity. 2009, with our significant capacity increase, will be a year of consolidation for us, with fewer new routes launched than in previous years. Indeed, Emirates’ fastest growing markets are Africa and the Middle East, recording 17 and six per cent growth respectively in the last 12 months. To this end, Emirates recently added a second daily flight to Lagos. It will also introduce services from Dubai to Durban, South Africa on 1st October 2009. The route will be served by a two-class, 278-seat Airbus A330-200 which can carry up to 14 tonnes of cargo into the port city. Last month, Emirates announced a vast Middle East expansion plan taking the number of seats in the region to 50,000 on 180 flights a week. Additional services to Amman, Riyadh, Jeddah, Kuwait and Damascus were started recently. As new aircraft come online, both Los Angeles and San Francisco – Emirates’ newest routes, launched in October and December – will go from thrice weekly to daily from May. The extra services will add more than 2,000 seats a week between the US west coast and Dubai, which is more than a 100 per cent increase on the current 1,600 seats. The first A380 flight between Dubai and Seoul’s Incheon International Airport will depart in November, while the Singapore service will start in December and initially run four times weekly. In Europe, Emirates has already embarked on an expansion programme. In recent months it has commenced double daily flights into Milan, increased Istanbul services to 11 flights a week, increased services on the Larnaca-Malta route to seven times weekly and Nice flights to five times weekly. Second daily services into Moscow and Athens are also planned for March. Established in October 1985 with flights to Karachi and Mumbai, Emirates Airline today directly serves 101 cities in 61 countries. In October 2008, the Emirates dedicated Terminal 3 at Dubai International Airport opened. With a total built-up area of 515,000 sq metres and the capability of handling 43 million passengers annually, the 10-storey concourse was specifically designed with Emirates’ future growth plans in mind. Dubai, February 18, 2009: Further demonstrating its continued commitment to its customers, Deyaar Development PJSC, one of the region’s fastest growing real estate companies, announced today that it will hand over seven projects in 2009, including premier developments in Dubai’s master planned communities. The handover will include over 1,300 units from across its diverse project portfolio. The projects scheduled for delivery in 2009 include The Citadel, a state-of-the-art commercial tower, and Hamilton Residency, a contemporary residential tower. Both projects are located at Business Bay, strategically positioned in close proximity to most major destinations in the emirate. Madison Residency, a premium 27-storey residential project located at TECOM, is also scheduled for delivery in 2009. The other residential projects to be handed over this year include the Coral Residence, Jade Residence, Sapphire Residence, and Ruby Residence, all located at Dubai Silicon Oasis, a commercial and residential master development conveniently located in New Dubai and marked by superior infrastructure quality. Highlighting the company’s continued commitment to its customers and investors amidst challenges facing the real estate sector, Markus Giebel, Chief Executive of Deyaar, said: “Today, more than ever, Deyaar is focused on meeting its commitment to its customers and adapting to their evolving needs. This is demonstrated in our 2009 operational strategy, which was recently unveiled. Deyaar remains exceptionally well positioned to build on its current growth momentum and effectively use its balance sheet strength to help clients overcome short-term market constraints. Sheikh Hamdan Bin Rashid Al Maktoum, Deputy Ruler of Dubai, UAE Minister of Finance and Chairman of the Dubai Municipality, attended the reception of the seventh Group Wedding of Dubai Municipality employees on Tuesday night. The ceremony hosted by Dubai Municipality at Zaabeel Park was also attended by many dignitaries of the country, senior officials of government departments in Dubai, in addition to the senior officials of the Municipality and family members and friends of the married couples. A total of 45 employees of Dubai Municipality tied the knot this year under the group wedding programme, organized with the aim of helping employees reduce their wedding expenses. Eng. Hussain Nasser Lootah, Director General of Dubai Municipality said the event, which has been receiving tremendous success year after year, is a reassurance of the spreading of the concept of social solidarity that reflects positively on the society. "The municipality endeavours to create an advanced society that enjoys high standard of living and comfort in order to establish brotherhood, solidarity and cooperation in the social fabric," he said. Stressing on the importance of the occasion, which is being organized by the Municipality for the seventh consecutive year, Lootah said it reflects and translates the reality of the constant care, support and encouragement the civic body gives to the youth in a happy family atmosphere, which adds the Municipality's support to the nation. Lootah greeted the couples and joined their happiness and wished good luck to their future life. He also thanked the initiative of Sheikh Hamdan Bin Rashid Al Maktoum, that has contributed in encouraging the youth of the country to hold mass wedding ceremonies saving them a lot of amount for their marriages. The entire expenditure for the glittering reception, which also featured folk dance performances by troupes, fireworks, laser shows, traditional wedding opera and traditional culinary show, was borne by the municipality. Sheikh Hamdan presented gifts to the grooms as a token of appreciation for their participation in the group wedding programme. A raffle draw was also conducted at the end of the ceremony, through which some couples won free air tickets for their honeymoon trips from Dnata, one of the sponsors of the event. "The noble gesture of Sheikh Hamdan will have a positive impact on the employees of the Municipality and it also shows how much the municipality cares for us," said Ahmad Nasser Yousuf, who works as an administrative support employee with the Corporate Marketing and Relations Department. The Municipality has been organizing mass wedding ceremonies in a bid to follow the instructions of the Father of the Nation Sheikh Zayed Bin Sultan Al Nahyan with regard to cutting cost of wedding ceremonies and avoiding lavishness in arranging wedding parties. Dubai, 17 February 2009: Dubai Municipality has clarified that it has not banned surfing in Umm Suqeim Beaches but has only demarcated an area exclusively for swimmers whereas surfers can use others areas. "This move comes taking into consideration the safety of a large number of swimmers who flock to this particular beach most of the day throughout the year. This doesn't mean that surfers are not allowed there. They can use areas beyond the demarcated area and other parts of the beach," said Alya Al Harmoudi, Head of Coastal Zone Management and Waterways Section at the Environment Department of Dubai Municipality. She noted that reports published in a section of the press during the past two days regarding the ban on surfing are not true. One of the visitors was fined because he was not abiding by the rules and regulations specified for the use of the beach. "Safety of beach users is paramount to Dubai Municipality. We've now demarcated this area for swimmers and are now studying the prospect of doing the same for surfers as well taking into consideration the waves and swell," Al Harmoudi said. She added that Dubai Municipality welcomes comments from the public and they can use the website: http://www.dubaicoast.ae/ to share their ideas and suggestions in this regard. "We will study them carefully for feasibility and to ensure the safety of all beach-users," she noted. Al Harmoudi, however, pointed out that any type of professional training or commercial activity will not be allowed on the beaches unless the individuals or companies concerned have obtained the necessary permission to do so from the Coastal Zone Management and Waterways Section. The swimming area in Umm Suqeim 2 beach has been clearly marked using buoys. 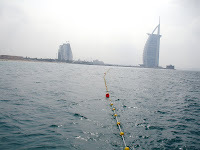 The area, which stretches from the Fishing Harbour along the Beach to the Jumeira Beach Hotel, was identified after considering its depth that suits the swimmers, she noted. She urged all beach goers to be caution while swimming in the beaches and take the necessary precaution especially at the time of drastic weather changes and to abide by the safety instructions before venturing into the sea. "People should also avoid swimming very close to the breakwaters and other structures on the beaches as the water current could be much stronger and this would endanger the lives of the swimmers. They should not also swim in the beaches during the prohibited times like night hours and when the sea is rough." The website http://www.dubaicoast.ae/ provides real-time coastal data and information for the beach-goers as part of an integrated coastal zone monitoring programme run by the Dubai Municipality. The Himalaya Drug Company informed that all its shampoos currently available on the shelves across the UAE have been tested by Dubai Central Laboratory – the testing arm of Dubai Municipality – and comply with safety norms. He explained that 1.4- dioxane is a by-product formed during the manufacturing process of foaming agents widely used in shampoos and is present in very small traces as low as parts per million in shampoos, and many related products across the world. “It is a highly volatile substance and evaporates readily, further diminishing the already small amount available for skin absorption, even in products that remain on the skin for hours. As shampoo is a wash-off product, contact is limited to a few seconds. Hence, the possibility of this being absorbed in the skin is highly unlikely. Dubai, February 2, 2009: eSquareworld Academia, a Dubai-Knowledge Village based education provider and Hughes Net Global Education, announced the induction of two new education programs from, IIM Calcutta. For more details, call 050 6533095 or email to manoj@esquareworld.com. IIM Calcutta is one the most premier management institutions across the globe and is in the forefront of executive education for the last five decades and has been widely acclaimed for the various innovative and customized programs it has introduced over the years based on its state of the art teaching, research and consulting. Management Programs from IIM – Calcutta are creating a new enthusiasm among senior and middle level executives in the UAE. Three programs were rolled out over the last few months from eSquareworld Academia in Dubai Knowledge Village. New programs are launched according to growing demand from various sectors of this dynamic market. The Executive Program in Business Management - a 240 hours program including one Personal Contact Program in Dubai and one Campus visit at IIMC. This 1-year program is designed to provide managers and professionals with a broad overview of the key concepts, tools and techniques needed to successfully meet the challenges of today’s global business environment. The General Management Program for Accounting Professionals - Designed for Chartered Accountants, Cost Accountants and Company Secretaries, General Management program will be a perfect launch pad for corporate career advancement. Announcing the same, Ms. Vineeta Koul, Manager-eSquareworld Academia said, “We are very excited to bring these programmes that would catapult the aspirants to new heights of success enhancing their business knowledge and professional caliber. Also it would assist working executives not to give up their jobs to pursue a professional program from a reputed institute”. “All the programs are designed, conducted and certified by the institute”, she added. Sharjah, February 15, 2009: Air Arabia (PJSC), the Middle East and North Africa’s first and largest low-cost carrier (LCC), announced today its financial results for the year 2008. The company achieved a net profit of AED 510 million for the financial year ending December 31, 2008, compared to a net profit of AED 376 million in 2007, an increase of 35.6 per cent. The carrier posted a turnover of AED 2.066 billion in 2008, up 61 per cent compared to AED 1.283 billion in 2007. Passenger average load factor – passengers carried as a proportion of available seats – stood at 85 per cent. Overall, a total of 3.6 million discerning passengers chose to fly with Air Arabia in 2008. This is an increase of 33 per cent compared to 2.7 million passengers in 2007. For the fourth quarter of 2008, Air Arabia posted a net profit of AED 136 million, up 45.4 per cent compared to AED 93.49 million during the fourth quarter of 2007. For the fourth quarter of 2008, the carrier posted a turnover of AED 571 million, up 53.3 per cent compared to AED 372.37 million in same period of 2007. During the fourth quarter of 2008, the airline served 959,067 passengers, an increase of 29 per cent compared to 745,000 passengers during the same period in 2007. He added: “2009 will see serious challenges to the worldwide aviation industry, driven by the impact of the global financial crisis and lower levels of consumer confidence. This uncertainty about the future will place additional pressure on the bottom lines and earnings expectations of airlines across the globe. In 2008, Air Arabia introduced seven new destinations, and now serves 44 destinations across the Middle East, North Africa, Indian Subcontinent, Eastern Europe and Central Asia. The carrier also announced its new hub in Morocco that is set to commence operations by the end of first quarter of 2009. Air Arabia also announced the launch of a 300-room budget hotel, and introduced new services such as its early check-in procedure and seat selection. The company’s exceptional performance in 2008 was recognised through several industry awards. Air Arabia was named “Low-Cost Carrier of the Year” for the second consecutive year at the Aviation Business Awards 2008. In addition, Air Arabia won the coveted AVEX award for Best Regional Airline at the prestigious AVEX award ceremony in Sharm El Sheikh, Egypt. The carrier won the World Travel Award for Best Low-Cost Carrier in MENA, hailed as the Oscars of the travel industry. Air Arabia was named Best Low-Cost Airline in the Middle East and Africa at the prestigious Budgie Awards, part of the World Low-Cost Airlines Congress, held in London, UK. In May 2008, Air Arabia received the gold award in the best airline category at the MENA Travel Awards 2008. About Air Arabia: Air Arabia (PJSC), listed on the Dubai Financial Market, is the Middle East and North Africa’s leading low-cost carrier (LCC). 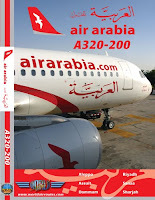 Air Arabia commenced operations in October 2003 and currently operates a fleet of 16 new Airbus A320 aircraft, serving 43 destinations across the Middle East, North Africa, South Asia and Central Asia through its main hub in Sharjah, United Arab Emirates. The Architectural Heritage Department of Dubai Municipality has recently got membership in the International Council of Museums (ICOM). The ICOM is an international organization formed in 1946 in Paris under the UNESCO with 151 member countries. Its associates work in the field of design and management of museums. Eng. Rashad BuKhash, Director of Architectural Heritage Department said this membership offers a number of important matters in museum science to Dubai Municipality such as cooperation, professional exchange, development of tourist guides and museum curators, spreading of knowledge, increasing awareness about museums, updating on the latest developments in the field of museum designing and management, and increasing cooperation with global organizations and international museums in the field of heritage awareness. He said this exclusive membership related to study and development of museums is a result of the concerted efforts of the Municipality in creating bridges of cooperation with international organizations for preserving the cultural heritage as well as the heritage of the UAE for near and far future. Dubai, 14 February 2009: Dubai Municipality has designated the swimming area in the Um Suqeim Second beach as a measure to improve the safety of beach-goers. This was stated by Eng. Alya Al Harmoudi, Head of the Coastal Zone & Waterways Management Section at the Environment Department of Dubai Municipality, who noted that the move is necessary as beaches in Dubai are regarded as a major attraction for the residents and tourists alike. "There are many people who visit the beaches to swim or just to unwind due to the year-round sunshine and the golden sands they offer. We are keen to preserve the beauty of these beaches and ensure the safety of the beach-goers," she said. Al Harmoudi added that the swimming area in Um Suqeim Second beach has been clearly marked using swimmer safety demarcation system. The area, which stretches from the Fishing Harbour along the Beach to the Jumeira Beach Hotel, was identified after considering its depth that suits the swimmers, she noted. "As this beach is considered one of the most famous public beaches in the Emirate and frequently used by thousands of visitors every year, it's very significant to clearly mark the swimming area. This way we can prevent swimmers from incurring inattentively into the sea especially as there are many people who are not good swimmers and do not abide by the instructions for the beach users," Al Harmoudi noted. She urged all beach goers to be cautions while swimming in the beaches and take the necessary precaution especially at the time of drastic weather changes and to abide by the safety instructions before venturing into the sea. "People should also avoid swimming very close to the breakwaters, groins and other rock structures on the beaches as the water current would be much stronger near these structures and this would endanger the lives of the swimmers. They should not also swim in the beaches during the swimming prohibited times like night hours and when the sea is rough." She noted that Dubai Municipality has launched a website (http://www.dubaicoast.ae/) to provide real-time information for the beach-goers as part of its coastal zone monitoring programme. "Visitors to this website can obtain real-time information on the situation of the sea, that is captured by the Coastal Zone & Waterways Management Section using state-of-the-art appliances, installed along the emirate's coastal zone." The information provided to the public through the website includes the height and direction of waves, water surface levels, water currents, speed and direction of winds, water and air temperature degrees, that are captured at the Jumeira open beach. The visitors can also watch live videos from the cameras installed on Burj Al Arab Hotel that show the situation of the sea and Umm Suqeim beaches. Dubai, 12 February2009: Dubai Municipality has withdrawn from the local market some 17 shampoos of five brands from China, India and Iran whose samples have been found in lab tests to be containing high percentage of Dioxane 1.4, which is carcinogenic if used on a long term basis. Reda Salman, Director of Public Health and Safety Department of Dubai Municipality, said the municipality has written to the Secretariat General of UAE Municipalities and other concerned authorities in the country to take necessary action with regard to these products in other parts of the country. They were informed of the names, brands, batch number, and country of origin of these shampoos. "We have since taken these shampoos off the shelves in the local market and have taken the necessary measures to prevent such products from entering the country. Distribution agents of these brands have also been notified," said Mr. Salman. He added that Dubai Municipality conducts periodic laboratory tests on samples of all products that enter the emirate's market and takes necessary measures to stop all products that use banned materials. In addition, samples from shops in the local market are also being taken for periodic lab tests to make sure that only safe products area available for human consumption. Dubai, UAE; February 12, 2009: Global property developer Emaar Properties PJSC has recorded annual net operating profits of AED 5.578 billion (US$ 1.519 billion) in 2008, 15 per cent lower than the net operating profits of AED 6.575 billion (US$ 1.790 billion) in 2007. Annual revenue was lower by 10 per cent to AED 16.015 billion (US$ 4.360 billion), from AED 17.869 billion (US$ 4.865 billion) in 2007. Earnings per share for the year relating to profit from operating activities in 2008 was AED 0.92 (US$ 0.25) compared to AED 1.08 (US$ 0.29) in the previous financial year. Following the policy of conservative accounting, the Company recorded an inventory write down AED 0.919 billion (US$ 0.250 billion) relating to real estate inventory in J L Homes, US in the fourth quarter of 2008, where the economy is facing an unprecedented economic crisis. The Company recorded a profit of AED 0.924 billion (US$ 0.252 billion) prior to considering the aforementioned inventory write down in the fourth quarter and recorded a profit of AED 6.662 billion (US$ 1.814 billion) for the year prior to considering the total inventory write down during 2008. The lower revenue of AED 3.495 billion (US$ 0.952 billion) and operating profit of AED 0.924 billion (US$ 0.252 billion) for the fourth-quarter (October to December) 2008 (prior to considering the impact of inventory write down) has resulted in lower overall results for the year 2008. This is primarily due to slowing down of the real estate market in Dubai resulting from the current state of the global financial climate. Emaar is concentrating on completing all the projects, which have commenced construction and have put new projects/ launches on hold to assist in reducing the real estate property supply in Dubai. The new launches in 2009 will be dependent on the review of the demand and supply situation at various income segment levels. In view of the unprecedented slow down in the US real estate market, Emaar also decided to write down its investment in J L Homes by a total of AED 1.773 billion (US$ 0.483 billion) during the fourth quarter in order to be conservative in accounting for such an investment. This has resulted in the complete goodwill amount of AED 2.523 billion (US$ 0.687 billion) relating to J L Homes having been written off during 2008. Emaar Properties marked year 2008 with several milestones in its growth including the opening of The Dubai Mall, one of the world’s largest shopping and entertainment destinations, and The Address, Downtown Burj Dubai, the first hotel brand to be owned and operated by Emaar. In Dubai, Emaar is progressing with the construction of Burj Dubai, which will open this year. “Revisiting the project pipeline is a natural response to the new economic realities. We have also been negotiating with our partners to rationalize the project cost benefiting our shareholders and customers,” added Mr Alabbar. Taking a thought-leadership role in strengthening investor confidence, Emaar had announced the ‘To Own’ scheme featuring the ‘Plan to Own’ and ‘Rent to Own,’ programmes - both of which have enabled customers to own property under more affordable terms within Emaar’s world-class master-planned communities in Dubai. The 11-year-old company also strengthened its long-term growth goals through strategic partnerships locally and internationally. One of the highlights of year 2008 was the Memorandum of Understanding signed between Emaar Misr for Development, Emaar’s Egyptian subsidiary, and the Abu Dhabi Municipality to develop the 2.2 million sq m Sheikh Khalifa Bin Zayed Residential City in Cairo. The social housing project also marks Emaar’s all-encompassing development approach of meeting the lifestyle needs of all sections of the society. Emaar also entered into a joint venture agreement with His Royal Highness Prince Meshal Bin AbdulAziz Al Saud, Chairman of Saudi Arabia’s Bayah Council, and owner of Al-Shoala Group of Establishment, to develop a 31 million sq m master-planned community, Rawabi Rumah, located near Riyadh. Dubai, 11 February 2009: Dubai Municipality has announced that it has taken all necessary measures to protect the emirate's marine environment following a collision between a container vessel and a gasoline tanker, five miles off Jebel Ali coast. According to Mohammed Abdurrahman Hassan, Head of Marine Environment and Wildlife Section at the Environment Department of Dubai Municipality, the tanker was containing light fuels which did not pose major marine environment hazards and the situation was brought under control immediately by the authorities concerned. He said that this type of fuel evaporates very fast and the smell and vapor from it would be felt only in the nearby areas or those in the direction of the wind. It would not cause any notable damage to the mar ine environment. Hassan noted that a team of marine officers, inspectors, and monitors from the Environment Department of the municipality was dispatched to the site immediately after the accident to take stock of the situation. He added Dubai has formed specialized teams and taskforces to deal with marine accidents, comprising representatives from all government agencies concerned, including Dubai Municipality. Every one of them is responsible for acting under its own jurisdictions. The Veterinary Services Section of the Public Health Services Department of Dubai Municipality will participate in the Domestic Animals Exhibition 2009, which will be held at Festival city on Saturday, 21 February. The Municipality will have a stall in the exhibition to educate and provide guidance to the people. This is the fifth consecutive year Dubai Municipality is participating in this exhibition. The Veterinary Services Section will introduce its consultative and treatment services as well as awareness programmes in the field of domestic animal hygiene and training during the exhibition, which is considered to be one of the biggest gathering of owners and lovers of domestic animals and their training. The Veterinary Services Section called upon the people concerned to come for the exhibition during 9am to 5pm at Festival City on February 21 and register for vaccinating their animals from the nearest veterinary clinic for the protection of public health. Dubai Municipality, along with the Emirates Standardization and Metrology Authority (ESMA), participated in the Codex Alimentarius Commission Middle East regional meeting held recently in Tunis, where the UAE presented a project on specifications for camel milk. This was a first of its kind specifications prepared by the UAE to participate in a regional or international meeting, said Khalid Sharif, Director of Food Control Department, who participated in the meeting representing the Municipality along with Maha Suwaikat Al Hajiri, Head of Food and Environment Laboratory Section in the Dubai Central Laboratory Department. The meeting was attended by a number of food safety officials from the near east countries. The Codex Alimentarius Commission was created in 1963 by FAO and WHO to develop food standards, guidelines and related texts such as codes of practice under the Joint FAO/WHO Food Standards Programme. "The specifications for camel milk were prepared by Dubai Municipality in cooperation with ESMA, Emirates Industry for Camel Milk & Products and the Central Veterinary Research Laboratory in Dubai. The significance of these specifications comes as an embodiment of the care given by the nation, represented by its leaders, to camels that form the cultural legacy of the GCC nations," said Sharif. He said the camel milk products are distinct with many excellent characteristics that have made it a rich product, developed after extensive scientific research. "These specifications are considered to be unique in the country in protecting products with cultural imprints," Sharif said, adding that the country has manufacturers of camel milk in Dubai and Al Ain. "The UAE has taken up the task of preparing specifications for camel milk through ESMA and other bodies specialized in approving international specifications," said Sharif. The Codex Middle East regional meeting gave approval to these specifications on camel milk. The meeting also discussed some of the issues related to the strategic plan of Codex, a number of suggested specifications, the joint activities between the FAO and WHO such as holding workshops in food safety and approving advanced food control systems and their adoption by some countries that need to enhance their food safety competency. DUBAI, U.A.E., 10th February 2009 – Emirates Airline is now offering travellers an enhanced on-line travel planning tool, which builds itineraries by combining Emirates flights with low cost airline connections outside the Emirates network..
emirates.com uses the latest technology to provide passengers with a host of on-line features. Customers can purchase tickets, manage their booking, check-in online and choose their preferred seat. The innovative website caters to all flyers, including leisure, business and corporate. Now, with the addition of Connection Search, powered by technology provider Dohop, complete travel itineraries can be built by combining the flight schedules of both Emirates and the airlines featured on the travel site. The new service is designed to make life easier for those travellers who have difficulty reaching their nearest long-haul international airport or whose final destination is outside the Emirates network. Details of connecting flights to over 300 destinations throughout Europe, the Far East, India and Canada are now available to travellers, thanks to arrangements in place with five airlines – AirAsia, easyJet, clickair, IndiGo, JetLite and WestJet. Search results instantly display the most appropriate complete itinerary, together with the lowest available fares. Booking can then be completed online within minutes on each separate airline website. 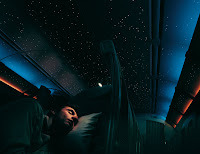 The service is available on every regional emirates.com website and can be viewed in English, French, German and Italian. Keith Longstaff, Emirates’ Divisional Senior Vice President, Commercial Operations Worldwide said: “We are delighted to unveil this latest innovation to our website, which will provide added information and convenience to our customers. Feedback from our customers has revealed the increased use of low cost carriers and Connection Search provides them with a simple tool to plan and book their perfect itinerary. After carrying out in-depth research and in partnership with Dohop, we believe we have successfully developed a seamless online experience which will greatly assist our customers." Dubai, February 9, 2009: Six-year-old Buthaina Mohammed Al Zaabi, a UAE national student of Grade 1, is the lucky winner in the second weekly draw of ENOC/EPPCO’s ‘This Way to Your Dream Life’ promotion being held as part of Dubai Shopping Festival (DSF). The winning coupon No. 105722 entitles Al Zaabi to a cash prize of AED 50,000 from Royal Bank of Scotland, AED 17,000 worth of leisure packages from Dreamdays, and free fuel, carwash, oil change, Salik tags as well as reloads and Dubai parking cards from ENOC/EPPCO. On every purchase of just AED 25 on non-fuel products and services from EPPCO/ENOC service stations in Dubai, customers get a Dream Life ticket to win the array of weekly prizes. Dubai Municipality inspectors, in cooperation with Dubai Police and the Dubai Naturalization and Residency Department, nabbed last month 543 persons including street vendors, beggars and illegal car washers. The sweep against the law-breakers had also resulted in the seizure of several low-quality goods and pirated CDs. Civic inspectors conduct daily spot checks in streets and public places to prevent street vending, begging and car washing in public places by individuals in violation of a ruling by the Ministry of Labour in this regard. The nine inspectors at the Control Unit of the Markets Administration Section in the Assets Management Department carry out regular checks. In January 2009, they caught a total of 543 people including 400 street vendors, 71 beggars, 43 car washers and 29 illegal butchers and fish cleaners. A total of 1,398 counterfeit products including ready-made garments, perfumes, cameras, and watches that were fake international brands were confiscated. Also, some 5,942 DVDs with pirated films and 65 pornographic movies, 680 foodstuff items including boxes of fruits and vegetables, 120 trolleys including 40 big trolleys and 80 small trolleys, in addition to six cartons of Pan were seized last month. The public is urged to call the Municipality Emergency office on 04-2232323 round-the-clock to report such illegal activities. Dubai, 08 February 2009: Dubai Municipality opened for business yesterday (Sunday) its new Dhs6.8 million office in Al Bada, which offers the public a number of civic services under one roof. Hussain Nasser Lootah, Director General of Dubai Municipality, accompanied by senior officials of the civic body, toured the facility following its formal opening. The office would suffer such services as public health, building inspection, waste management and food inspection. Lootah said opening of the new branch office forms part of the decentralization policy adopted by the Municipality in delivering civic services to the public and simplifying the procedures for them. "This would reduce the number of visitors at the main Dubai Municipality office taking pressure off it. Moreover, it would save the people their time and efforts in driving to the heart of the town," he noted. The premises, built at a cost of Dhs6.8 million, consists of ground and first floor offices for accommodating services of different departments within Dubai Municipality, a car parking area and a landscaped green space. Lootah said the new office would also help effectively manage the city's affairs in different areas including effective follow-up on public health matters, building regulations, food inspection and waste management. The project was designed in the unique shape of all other Municipality branch offices. The ground floor has an area of 419 sq metres and the first floor 401 sq metres. Mr. Lootah and senior officials also paid a visit to the DM office in Karama and discussed with officials and staff there matters related to enhancing efficiency and effectiveness of civic services. Dubai Municipality recently confiscated and destroyed a quantity of banned veterinary medicines that were in circulation and some medicines that were sold even after expiry dates were ended. Six shops in Nadd Al Sheba market were imposed fines for selling these medicines during the surprise inspections conducted by the Veterinary Services Section of the Public Health Services Department of the Municipality. The inspection drive was part of the continuous inspection programmes undertaken by the section. Inspectors of the section started the campaign from the establishments that are less compliant and ended with inspecting all the establishments in the market, among them were veterinary medical shops and establishments that sell animal related tools. The inspections were aimed at ensuring the use of the best veterinary medicines and insecticides as well as preventing the use of banned veterinary medicines that are proved to be hazardous, carrying side effects and are harmful to the health of animals as well as reflecting negatively to the public health. The inspection drive was also aimed at following up the veterinary medicines that are spoilt and the expiry dates are ended. It was also in implementation of the Municipality circular pertaining to the banned veterinary medicines that were in circulation. Also during the campaign, all the veterinary establishments in the market were provided awareness on the hazards of using these veterinary medicines and insecticides as well as its negative impact on the health of the animals and the human beings. The Municipality circular was distributed again during the campaign. DUBAI, U.A.E., 5th February 2009 – Emirates Airline has stepped up its presence in Australia with the introduction of a second daily service to Brisbane and a third daily service to Melbourne, with immediate effect. The additional services represent yet another initiative in the Emirates-Australia partnership. Closely following the launch of Emirates’ A380 service to Sydney on 1st February, the two new services to Brisbane and Melbourne will operate non-stop and escalate the airline’s weekly capacity to 63 flights to four Australian gateways. Operated by the ultra-modern A340-500 aircraft in a three-class configuration that includes 12 luxurious First Class Private Suites, 42 seats in Business Class and generous space for 204 passengers in Economy Class, the additional flights will introduce over 3600 seats per week per direction, and contribute significantly to economic and tourism growth in Australia. In its last annual study, Melbourne Airport reported close to five million international passengers. The airport authorities hope to boost this figure as Emirates’ expansion will facilitate growth in arrivals from Europe - a key tourism market. Emirates has a large European network spanning 22 cities and has been actively promoting Australia in the continent through multi-channel publicity initiatives. The Dubai-based carrier, together with Tourism Australia, has implemented several promotional campaigns in the United Kingdom – an important inbound market for Australia. Emirates’ commitment to Melbourne and Brisbane spans a range of sponsorships, notably The Melbourne Cup, Melbourne Symphony Orchestra, Collingwood Football Club and the PGA in Coolum, Queensland. The airline’s dedication to the market is also reflected in its world-leading facilities that include the recently-launched Emirates Lounge at Brisbane Airport which offers a stunning 360 degree view of the airport and is the first airline lounge in Australia capable of boarding passengers directly from the lounge to the aircraft. The airline also offers passengers access to Emirates Lounges in Melbourne, Sydney and Perth. Emirates SkyCargo, provides efficient and cost-effective connections to every continent on the globe and is a valued partner for many Australian businesses. Primary cargo shipments include chilled meat, seasonal fruits and vegetables, computer equipment, manufactured goods, personal effects and aircraft parts. The expansion will add 200 more tonnes of cargo-carrying capacity on the Brisbane and Melbourne routes. Passengers on the additional flights will enjoy meals prepared by gourmet chefs, award-winning service from the airline’s international cabin crew recruited from over 100 countries, as well as Emirates’ cutting-edge ice (information, communication, entertainment) system that offers over 600 channels of on-demand entertainment and the facility to send/ receive email and text messages. EK 408 will depart Dubai daily at 02:30 hrs and arrive in Melbourne at 22:55 hrs. It will turn around as EK 409 that departs Melbourne at 02:55 hrs the following day and touches down at the airline’s new home – Emirates Terminal 3, Dubai International Airport – at 10:10 hrs. EK 434 will depart Dubai daily at 10:20 hrs, arriving in Brisbane at 06:35 hrs the following day. Return flight EK 435 will take off from Brisbane at 20:30 hrs and touch down in Dubai at 05:30 hrs the following day. Dubai, UAE, 4th February 2009 - Emirates Airline has scored an early goal in the 2010 FIFA World Cup™ by announcing flights to Durban from October 1st this year.The daily service will provide the only direct air link between the international aviation hub of Dubai and Durban, one of South Africa's host cities for FIFA-mania next year. Emirates, an Official Partner of the 2010 FIFA World Cup™, already flies to Cape Town and Johannesburg. Durban will provide another gateway to the world's greatest football spectacle, one of South Africa's key tourism hubs and the busiest port in Africa. Salem Obaidalla, Emirates' Senior Vice President, Africa, West Asia & Indian Ocean, said: "With 2010 just around the corner, this is a great time to be adding routes in South Africa. The third gateway will bring benefits to our passengers and KwaZulu-Natal province well before, during and long after the FIFA World Cup, so a good result for South Africa and its increasing ties with Dubai and the Emirates network beyond." Dubai Export Development Corporation figures show exports from the UAE to South Africa reached AED 2.3 billion in 2007, whilst exports from South Africa to the UAE reached almost AED 2.7 billion in the same period. Emirates SkyCargo will support this trade and plans an office in Durban. The airline's freight arm will offer up to 13 tonnes of cargo capacity on each flight. Flight EK775 will depart Dubai at 0445hrs, arriving at Durban International Airport at 1130hrs. The return flight, EK 766, leaves Durban at 1300hrs and gets into Dubai at 2340hrs. A 278-seat Airbus A330-200 in a two-class configuration will be deployed on the flight, lasting around 8hrs 45 minutes. Emirates currently flies to 15 destinations in Africa. Services to Johannesburg started in 1995 and flights now leave Dubai three times a day. In March of last year, the airline started a daily service to Cape Town. Dubai-based and operating across six continents, Emirates has risen to prominence in the aviation industry in a remarkably short space of time, having only launched in 1985. Its quest for excellence, forward thinking and attention to detail have resulted in hundreds of awards from both the travel and tourism industry and the travelling public. While many may consider Emirates simply an airline, the organisation has mushroomed into a travel and tourism conglomerate of the highest order. At the same time, it has become an astutely strategic sponsor of sports and culture around the globe. More than 50 different brands now make up the Emirates Group. Dubai, February 3, 2009 – InterContinental Hotels Group (IHG) has launched a brand new service, Personal Hotelier, across the Crowne Plaza estate throughout Middle East and Africa. Guests staying in Club rooms or on the Crowne Club floor can now enjoy the undivided attention of a hotelier dedicated to catering to their every need. Crowne Plaza Personal Hotelier is an initiative that provides guests one point of contact, one face, one name and one telephone number to call prior to and during their stay at the hotel. This exclusive service is designed to alleviate the stress of corporate travel, allowing the guest more time and space to think, resulting in making their business trips more efficient and effective. From the moment a booking for a Club room is made, a member of the Personal Hotelier team will be assigned to the guest, contact them to introduce themselves and then offer them any assistance if required. A personal hotelier can help guests with everything for business needs, such as updating a presentation, printing documents, making reservations at a restaurant or spa and even personal shopping. The pilot program, conducted at Crowne Plaza Dubai Festival City, received an overwhelmingly good response. Results from a survey* conducted amongst guests who participated in the program demonstrated that 95 per cent rated the service excellent with regards to its efficiency and usefulness. The Personal Hotelier service is available to guest who book Club rooms or on the Crowne Club Floor at all Crowne Plaza properties across Middle East and Africa. Dubai Municipality will open soon its Al Bada office, which will offer a number of services such as public health, building inspection, waste management and food inspection within the decentralization policy adopted by the Municipality as far as offering services to the public and simplifying the methods. Eng. Hussain Nasser Lootah, Director General of Dubai Municipality said the Municipality accomplished this project at a cost of Dhs6.8 million. The building consists of ground and first floors for accommodating the services of different departments, a car parking area for 11 cars and landscaping. He said the idea of opening external offices was part of the Municipality's efforts to overcome all impediments faced by the public in searching for different services, in addition to the constant follow up plan for maintaining the public health and cleanliness as well as the beauty of the city. The project was designed in the unique shape of all other Municipality branch offices. The ground floor has an area of 419 sq metre and the first floor 401 sq metre. Nearly 100 government heads and business leaders from the Middle East region attended the five-day summit in Davos-Klosters, participating in panel discussions and generating healthy debates on topics as wide-ranging as Sovereign Wealth Fund management to sustainable development. The deliberations and call for action taken up at Davos-Klosters will be further revisited at the World Economic Forum on the Middle East 2009 to be held from May 15 to 17 at the Dead Sea, Jordan under the theme ‘Home-grown Strategies for Global Success.’ The Middle East meet will focus on the role of the region in addressing critical global challenges ranging from systematic financial risk to resource management and political extremism. Subsequently, government heads, business leaders and civil society leaders will meet in Dubai from November 20 to 22 for the 2009 Global Agenda Summit. Dubai is hosting the Global Agenda Summit for the second consecutive year. The event is essentially a closed door meet of 70 specialist councils of over 1,000 subject experts, who will brainstorm the major global challenges and provide recommendations to policy makers. The Davos-Klosters meeting put forth several reports that serve as effective pointers for future policy-making. Attended by more than 2,500 participants from 96 countries including 41 heads of state or government and over 1,500 business leaders, the meeting’s primary focus was on the current financial crisis and the ways to stablise and relaunch the global economy. Global risks including climate change, food and water security, as well as peace and security in the Middle East were key topics of discussion. In one of the landmark initiatives, the governments of Qatar, Singapore and Switzerland extended their patronage to the creation of the Global Cooperation Project, an unprecedented multi-stakeholder, multi-media dialogue to develop a 21st century vision of a wider global co-operation system. “There is a serious deficit in global cooperation when compared to the wide range of pressing challenges such as climate change, energy security, food security, terrorism and proliferation of nuclear weapons. With new players emerging on the world stage and a continuing mismatch between 20th century institutions and 21st century challenges, the international system needs to intensify collaboration and develop innovative solutions,” said Klaus Schwab, Founder and Executive Chairman of the World Economic Forum. The report, ‘Green Investing: Towards a Clean Energy Infrastructure,’ presented at the meeting warns that unless at least US$515 billion per annum is invested in clean energy between now and 2030, carbon emissions will reach a level deemed unsustainable by scientists, causing temperatures to rise by two degrees globally. Another stark warning was on water use with experts reiterating that “water is the nexus linking together a web of food, energy, climate, economic growth and human security.” A report released at the meeting states that many places in the world are on the verge of “water bankruptcy” following a series of regional water “bubbles” over the past 50 years that fuelled economic growth. Participants at the meeting will continue their discussions about the key issues on the global agenda in a new virtual network WELCOM (the World Economic Leaders Community), a social network exclusively reserved for the Partners and Members of the World Economic Forum. DUBAI, U.A.E., 2nd February 2009 –Award-winning Emirates Airline notched up yet another first today as it operated the world’s first A380 commercial service from Dubai to Australia and New Zealand. Sydney and Auckland became the third and fourth destinations to join Emirates’ rapidly-expanding A380 network. Taking off from its new home - Emirates Terminal 3, Dubai International Airport – EK 412 operated by Emirates revolutionary A380 aircraft arrived in Sydney and flew onwards to Auckland, carrying onboard 400-plus passengers from UK, Germany, Malta, the UAE, Egypt, Saudi Arabia and Iran, amongst other nationalities. Emirates will operate its A380, dubbed ‘a premium hotel in the sky’, from Dubai to Sydney and across the Tasman to Auckland every Wednesday, Friday and Sunday. The service will progress to a daily, effective 1st May 2009. Advancing Emirates’ environmental programme, today's A380 service also heralds a new era for flights Down Under, a green best-practice demonstration flight, and the use of the world's most eco-efficient commercial airliner on the Indian Ocean for the first time. All three measures are being deployed to cut fuel burn and emissions on flights to/ from Australia and New Zealand as well as reduce journey time for passengers. The per seat fuel burn on the Emirates’ inaugural A380 flight is expected to be 20 percent less vis-à-vis the normal flights. EK412, the first commercial flight of an A380 over the Indian Ocean, is also the test flight for a longer-term green flight initiative involving the Air Navigation Service Providers of Australia, the UAE, Oman, India, Sri Lanka and the Maldives working with Emirates and other airlines to pioneer best environmental practice over the world's third-largest oceanic region. The programme will officially commence in the first half of 2009. Despite a challenging global economic environment, visitors from the Middle East and North Africa (MENA) visiting Australia are expected to grow by 8% this year and by 15 % in 2010, according to a forecast by the Tourism Australia Aviation and Economics Team. In its last annual study, Tourism New South Wales recorded close to 30,000 overnight visitors from the region, representing 43.3% of its total visitors and a 32.9% increase from the previous year’s study. Already, Emirates is carrying over 50% of all Gulf tourists visiting Australia. The airline’s robust network in the Middle East and North Africa comprises 194 flights per week to 16 key gateways. “The growth in Emirates’ seat capacity by over 40 % is expected to encourage above-average growth of visitor arrivals and support both countries’ marketing efforts in the region,” added Mr Vaughan. In a move aimed at facilitating travel, New Zealand signed a visa-waiver agreement with the six member States of the Gulf Cooperation Council. Trade benefits will also accrue as the Middle East is a valuable market for New Zealand products including wool, dairy products, meat, manufactured goods and services. At the same time the region is an important source for New Zealand’s crude oil, polymers and fertilisers. The new service will also benefit Australians and New Zealanders travelling to their preferred cities in Europe and the Middle East, and will facilitate a seamless A380 experience from Auckland/Sydney to Dubai and onwards to London Heathrow – an important route for travellers from both countries. The Emirates’ A380 sets a new milestone in environmental conservation, offering better fuel economy per passenger mile than most hybrid passenger cars. The aircraft’s environment credentials were further strengthened with today’s green flight that effectively employed new technology and multi-government co-operation to create ultra-efficient flexible routings and minimise fuel burn. To maximise its environmental efficiency, EK 412 adopted the following measures:Priority departure from Dubai and an unrestricted climb from UAE Air Traffic Control to ensure optimal fuel burn. Flexible, ultra-efficient routings over countries and their air space such as Oman, the Maldives and India. Dynamic re-routing to allow for weather changes, particularly high-altitude winds, to save journey time and emissions. Arranged with AirServices Australia to allow a continuous descent arrival to ensure fuel is saved and noise is minimised. Arranged with Airways Corporation of New Zealand for the continuation of the green initiatives on EK412 between Sydney and Auckland. Emirates and Airways New Zealand used the concept of User Preferred Routes to further reduce fuel and emissions over the Tasman. Post arrival in Sydney and Auckland, Emirates kicked off a series of familiarisation tours aboard its superjumbo. Emirates’ A380 has received glowing reviews from passengers and the travel trade with its onboard Shower Spas, yet another industry first, that offer a whole new dimension of luxury air travel. Emirates onboard lounge for First and Business Class passengers is an exclusive space to stretch your legs, relax, socialise or simply catch up with business. Designed to make you feel like you are in your very own executive club, its bar is stocked with a varied and enticing selection of beverages and canapés. Set in a three-class configuration (14 First, 76 Business and 399 Economy Class seats) the Emirates A380 offers a level of comfort and space never seen before on a commercial airliner. Spread over two levels, the whole of the upper deck is dedicated to Premium Class passengers. Towards the front, First Class passengers can relax in flat-bed, massage-equipped Private Suites. Business Class passengers can enjoy a new generation of intelligent seating designed to ensure all 76 flat-bed seats have aisle access. Passengers in Economy will appreciate the straight walls throughout the cabin that lend to a more spacious ambience, enhanced further by generous seats and wider aisles. Emirates bespoke and award-winning inflight system ‘ice’ (information, communication and entertainment) offers over 1000 channels of on-demand entertainment - the largest selection of programming in the skies.